Retail Price: $28.00 Log in for LOWEST PRICE! 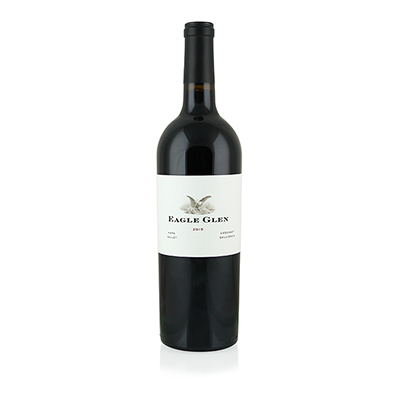 Eagle Glen is part of Davies Family Selections, founded in 2010 by Ian and Alysia Davies. Ian began his career on the East Coast, working in high-end restaurants and eventually managing several premium restaurant chains. Obviously, the stress and hours of the restaurant business make it one of the most demanding schedules imaginable. So, Ian decided to take a turn that would be beneficial to him and his family. He worked for a wine wholesaler and eventually, in 1999, founded his own import wine company. Well, we've written this story before. The only thing that changes are the names. Importing and selling wine isn't the same as making it. The allure of making wine is often just too encompassing to ignore. So, Ian and Alysia took the plunge and decided to make their own brands of wine, as an addition to their import and domestic portfolio. By concentrating on just a few wines and areas, they could keep improving their products without the stress of doing too much. Not doing too much - in the right way - is what Eagle Glen is all about. The grapes have just the right amount of ripeness. The wine has just the right amount of oak, fruit, structure and tannins. It really is perfect. From the dark, brooding color, through the black cherry and cassis nose, and on to exotic flavors and the haunting elixir of a finish, this beauty delivers at every level you could ask for. But not too much.